We are a very social and friendly club with 100+ members. During the year we have many events: social functions, car runs and static displays. For those who wish to come along, we meet the second Thursday in the month for lunch at an allocated venue. Check out the latest "MAGAZINE" for up to date info including a diary of events. Visit the Gallery to see what we have been up to. 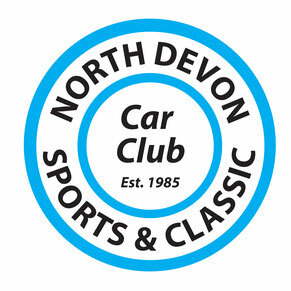 CONGRATULATIONS AND THANKS TO ALL OF OUR MEMBERS WHO SUPPORTED THE CLUB STAND AT THE CRASH BOX AND CLASSIC CAR CLUB POWDERHAM RALLY 8th/9th JULY.